We are very grateful for the support of Rubicon Minerals and their partners in this fundraising campaign. Their support of the Foundation and commitment to the community are greatly appreciated. New Foundation Board member Terry Bursey was instrumental in the receipt of this gift of $50,000.00. 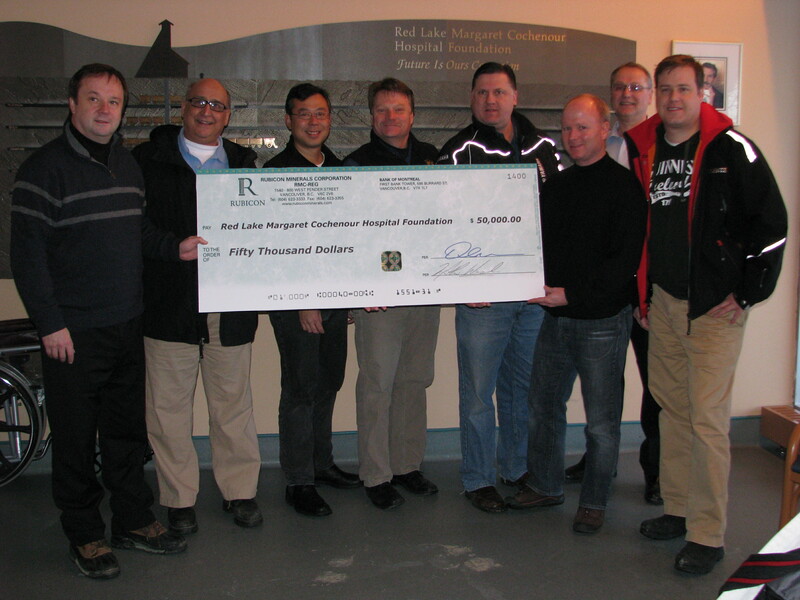 An additional $5,425.00 was raised when staff and contractors with Rubicon were challenged to make a donation. Thank you for your generous contributions. You are currently browsing the archives for the Donations category.